Dealing with all the messages in your inbox can feel like a never-ending battle. Just when you think it’s under control, you’re besieged with a barrage of new messages. You’re faced with the painful fact that “inbox zero” will probably always remain out of reach. 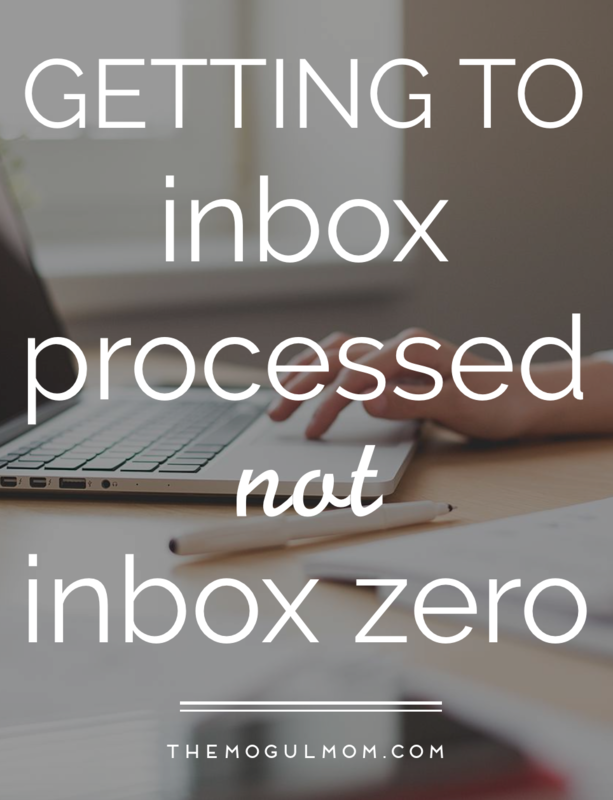 Don’t set yourself up for failure by fantasizing about the unattainable inbox zero. Instead, strive for “inbox processed”, a state you can attain by quickly and easily taking the appropriate action for every single message that comes your way. These five simple strategies will lead you straight to inbox processed and help you effectively manage your time spent on email. Determine the amount of time you can spend on email before you open your inbox and then stick to it. Set a timer if it makes it easier for you. E.gg Timer is my favorite online timer. You can also check out Chrometa. Quickly scan unread messages and immediately delete the ones you definitely don’t need. Next, look for the emails that require immediate attention and answer them. If you have time left, go to the less urgent ones and deal with them. Bonus Tip: If you’ve got a few extra minutes, unsubscribe from newsletters and set up a Google Reader account so that you can subscribe to the RSS feeds from those sites. You’ll still get the updates, but they’ll be neatly organized. Create a “Client” label in your inbox and nest emails to/from each client. Always use uniform labelling, which can be as simple as “Client: name of the client.” This approach prevents you from wasting time searching for correspondence and creates – in one place – a clear history of your collaboration. Bonus Tip: It’s easy to apply this system to projects or other groups of messages. The key is to always separate them from the rest of the messages by using uniform labels (e.g., “Project: name of project” or “Program: name of program”). When the timer goes off, get out of your inbox and don’t let yourself work with it open. If your smartphone lets you know when new messages come in, set your notifications on silent (or better yet, turn them off altogether), so they don’t disturb you. As you work, you might suddenly remember that you need to follow up with a client, send a reminder to a prospect or check dates in an email invitation. If it’s not urgent, resist going back into your inbox. The task that you think of as a one-minute affair will likely eat up one hour (if not more) of your time as you inevitably remember other things you need to do in your inbox. 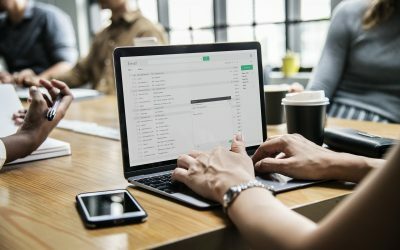 These five basic techniques have helped so many of my clients finally overcome the feeling of being overwhelmed by their inboxes. I want to end with a challenge that has the potential to truly liberate you. You might be wondering what you should do with those hundreds, even thousands, of emails that have been in your inbox for ages. Don’t spend your time processing them. Don’t worry. You won’t lose your mail. It’ll still be there, safe and searchable, but you’ll feel lighter from not constantly seeing them sitting there in your inbox. The final step of the challenge? Commit to using the five strategies above for five days and see what happens to your inbox. In the comments, tell me which step above will help you most. Great tips. My email inbox in overwhelming at times and I am always looking for tips in how to manage it. I will definitely use your tips this week. YAY Prerna!! 🙂 Do you find that you have a different feeling opening your inbox now? Okay, Natasha, archived over 10k emails! Yikes!! I already have filters and labels in place and those have made my email more organized than ever. Now, I will go back to checking email just 2 or 3 times a day.. Thank YOU! I create ‘filters’ for certain types of emails that I get regularly, like blogs, team newsletters, shopping, even fb group updates, etc….so they don’t even end up in my inbox. They go to their folders and when I have time (HA!) or when I’m bored (double HA!! ), I check those folders. This way, I can check them when I want, without seeing them “unopened’ in my inbox, glaring at me. Also, I go through emails on my iPhone when I’m waiting in a line or at a doctor’s office….it’s surprisingly easier to manage than from my desktop sometimes. When you mention labels, is this like folders? If not how do you label an email? Yes, Kim, you are correct. Labels are the same as folders. That’s the term Gmail uses for folders. Here is the link to instructions – http://support.google.com/mail/bin/answer.py?hl=en&answer=118708#0. I agree, Ursula – our freedom is in consistency. Loved your piece! It’s a neat idea to have a Reminder folder! Hello again lady! 🙂 This was awesome! I’m just awful about checking my email an inordinate amount of times. Especially if I’m waiting to hear back from a client on something. I need to put email in the same category as a pot of boiled water. Great article! I used to check email twice a day but I got out of the habit when I took a recent course (where I met Natasha.) I really need to start that again. Having it up all day is kicking my rump. I agree, it just starts running your day for you! Let me know how the above suggestions work for you, Erica. I’s been a pleasure being in that course with you. You are a powerhouse! I enjoyed your post and wanted to let you know about my service at theswizzle.com that automatically and safely unsubscribes you from (and deletes) commercial emails you no longer wish to receive. It makes your day to day email management so much easier. We’d love to hear what you think. Correct, it scans your inbox and gives you a complete list of emails it has identified as possibly ones you would want to unsubscribe to. Then, one by one, you have the choice to leave alone, unsubscribe or unsubscribe and delete all of them from your inbox. Once it’s done, we exit and have no further access to your inbox. Truly safe, secure and it quickly lightens the load of your inbox! Awesome! I am going to put it on my resources list and recommend to my readers! Thank you, Courtney! One other tip I’d add, at least if you use Gmail, is to bookmark the Compose page so that you can write emails without ever seeing your inbox. I find this really helpful for sending off quick notes without getting sucked into the abyss! Just bookmark https://mail.google.com/mail/?ui=2&view=cm&fs=1&tf=1&shva=1. Bonus tip: If you use Firefox, you can type Compose right in your address bar, and it will pull it right up! Thank you, Mandi! I’ve never used this trick before. Sounds GREAT! I love that you are offering solutions that are not all or nothing. Some days I simply have to turn off my email to get anything accomplished, but then I always worry about a member needing urgent advice, or my daughter (who lives on another continent needing a cyber hug). I end up a slave to my email, so I am most definitely rising to your challenge – I have nothing to lose from giving it a whirl, and may just find my sanity again. That’s such a lovely note, Julie Anne! You are right, we can’t ignore our Inboxes completely, because there are people, who depend on us. But we’ve got to find a way to manage the situation. Please let me know how this system works for you. Would LOVE to hear your feedback! Thanks for this article, Natasha! I love the theme of “processed” rather than “zero” – makes so much more sense for the way I use email. The step that will have the most impact is labeling my emails. I do often need to keep them as a record of client conversations / project notes. So the labeling system will help me feel much more organized and much less overwhelmed. Also, I currently have over 11,000 emails that need to be “categorized” (!!!) so I’ll use your other recommendation and put them all in an “archive” folder. Thanks for these VERY useful tips! 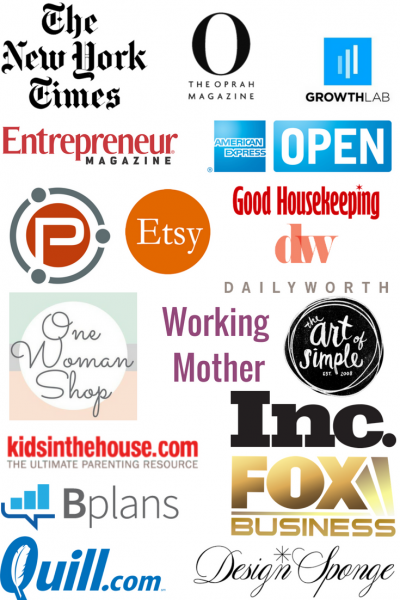 What I would recommend there is taking no more than 10 minutes of your time a day for categorizing. Set a timer and go as quickly as you can. Once 10 minutes are up, you are free to let it go. It will be a game, not a an 11,000-emails-to-categorize load to carry :). I love the tip about archiving old messages so that you don’t spend all your time trying to organize your past mess. I have to confess that I currently have 5,148 messages in my personal email account. Now I know what to do. Happy to hear that, Edita! Great tips… I definitely use the “timer” one. Now I only check my email twice a day – mid morning and before I shut down for the day.